Dshannon speed sloped windshield installation| Beech J50| AVSTAR Aircraft of Washington, Inc. Speed slope for a polished T-Bone. Not just another window installation. This one has a twist. 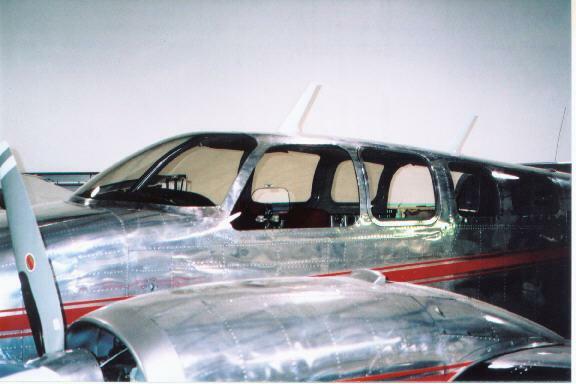 Take a J-50 Twin Bonanza and add all new glass by Beryl D’Shannon. 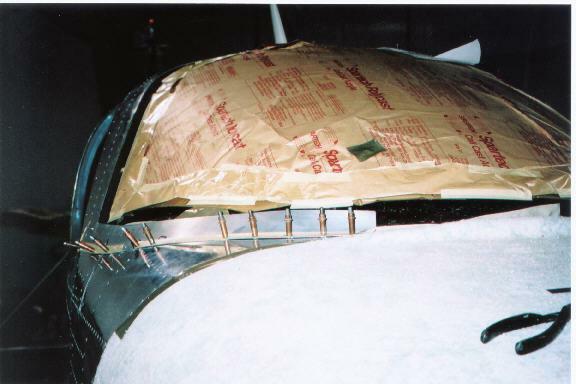 Problem: The speed-slope windshield conversion in a T-bone uses a fiberglass lower fairing. Well, we have a polished airplane. 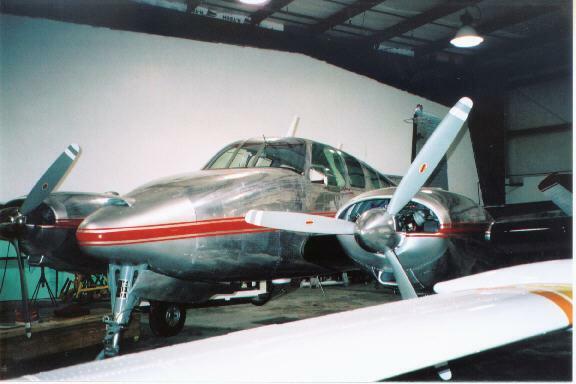 The mighty T-bone as it arrived to our facility with stock, cloudy & scratched green tint windows. 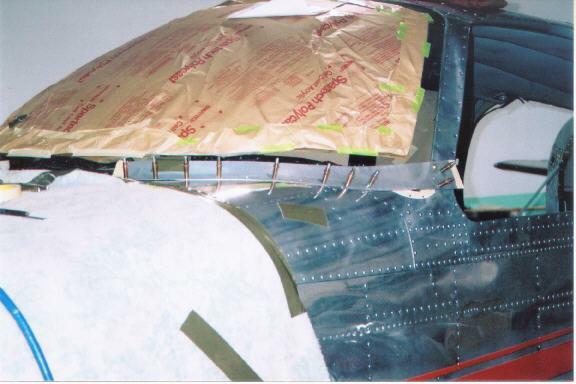 The fun begins by taking a fairing strip for the Bonanza, cut it in half; then by meticulously stretching, shrinking, and adding in fabricated pieces, an aluminum fairing strip is fabricated. 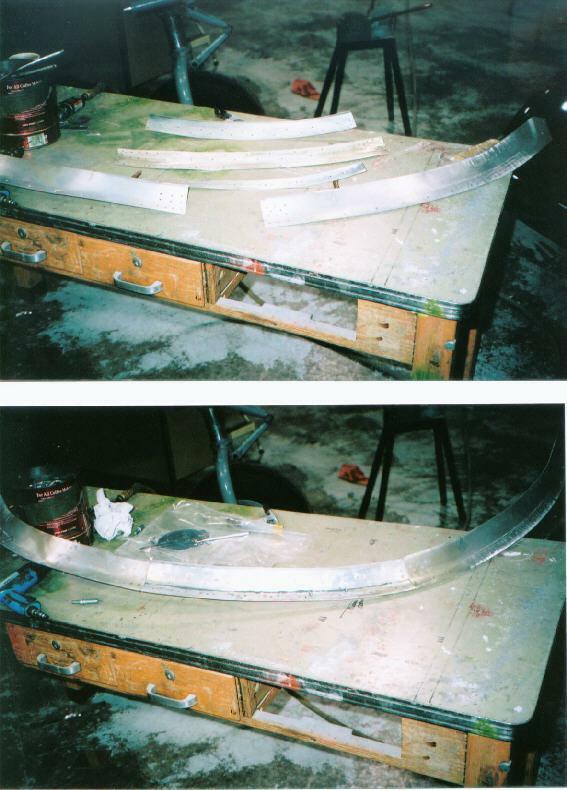 A total of five pieces were made for the fairing strip; these were bonded and riveted together, dressed, then initial polished. 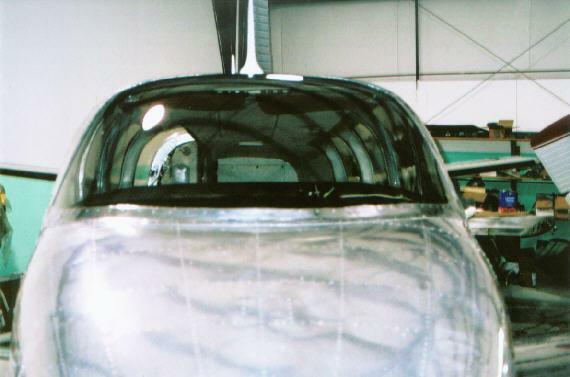 After windshield installation, the lower strip was detail polished. 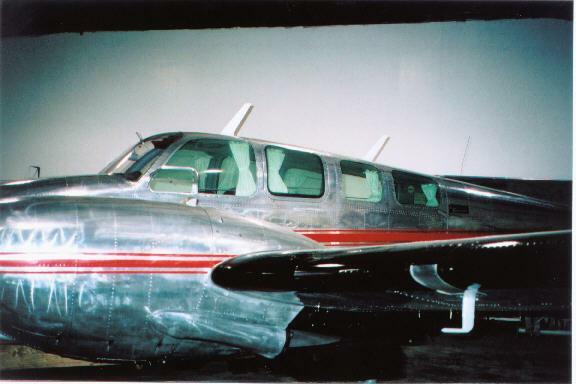 Profile of the airplane enhanced with the sloped windshield. The new gray tinted windows look great on a polished airplane!